Bjarke Ingels‘ architectural dominance of New York City is growing — the Danish starchitect has got his first commission in Brooklyn, reports Crain’s. 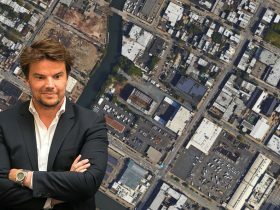 Developer Aby Rosen tapped Ingels’ firm Bjarke Ingels Group to draft plans for a large new apartment project on the banks of the Gowanus Canal. The site in question — at 175-225 3rd Street, pictured in the aerial shot above — is currently a parking lot.